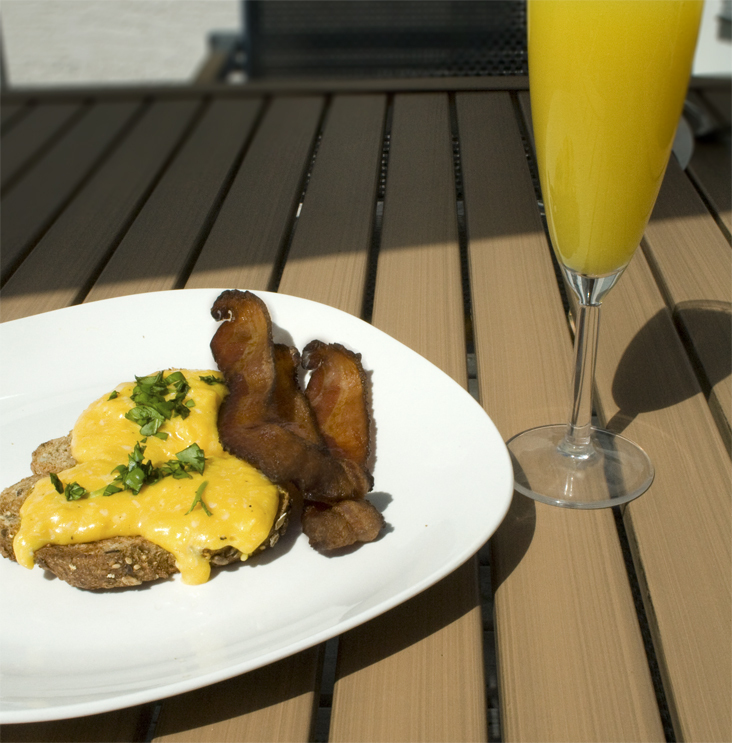 What a beautiful day to enjoy a quick and delicious brunch on your deck. When I woke up, Eric had a surprise Canada Day brunch prepared. Free-range scrambled eggs, maple-glazed roasted bacon, and mimosas. How much would I love this every morning?